Both the House and Senate have passed a school construction bill containing $55 million in state funding for the renovation of Memorial Boulevard School for use as an arts and theater magnet school. The funding represents a 68 percent rate of reimbursement for the project. The renovation of Memorial Boulevard School has been one of my top priorities, and the approval of this funding is a big step forward. 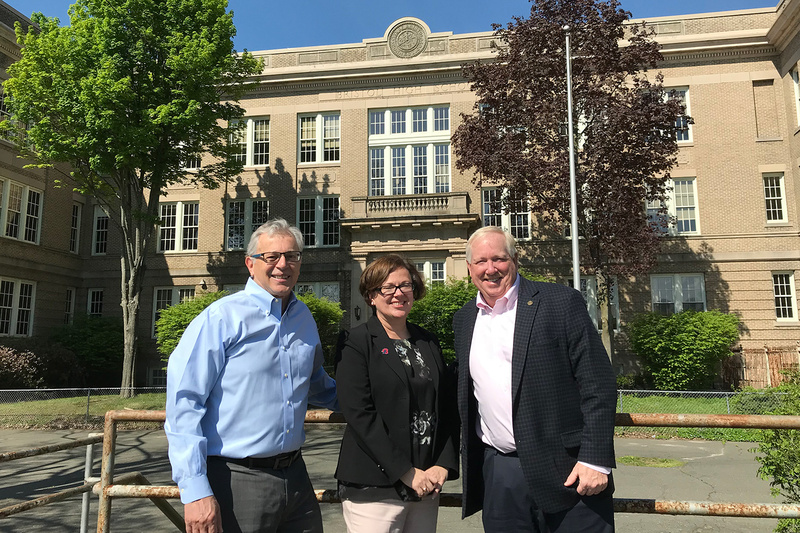 Having an arts and theater magnet school in Bristol will provide an additional educational opportunity for our students while putting an important historic building to good use. The state will reimburse over two thirds of the construction costs, making this a smart fiscal move for Bristol. I’d like to thank Mayor Ellen Zoppo-Sassu and Board of Education Chairman Chris Wilson for all their work on the local level to advance this initiative. In January of 2017, I invited Speaker of the House Joe Aresimowicz to tour Memorial Boulevard School along with members of the City Council and Board of Education. The purpose of the tour was to discuss potential funding to renovate Memorial for use as an arts and theater magnet school. In August, the Bristol Board of Education voted to file an application with the state for the creation of an arts magnet school at Memorial Boulevard School.